This morning I met a determined group of Saginawians to brave the cold weather and walk the Unity March through downtown. 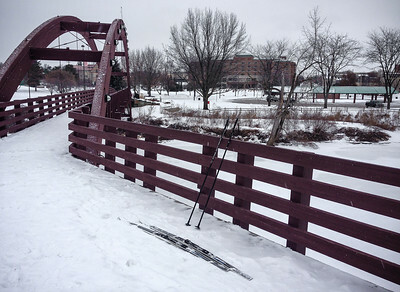 This afternoon I skied 7 miles of the Chippewa Trail. Chippewa Nature Center to the Tridge and back. Met up with a nervous whitetail, the first robin of spring and ran out of water as the last bit froze in the bottle. 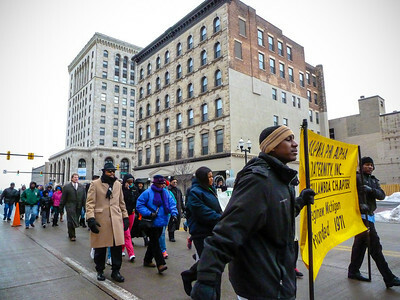 In spite of the harsh cold temperatures, a group of determined Saginawians passes through the Genesee and Washington intersection as the Unity March continues through downtown. 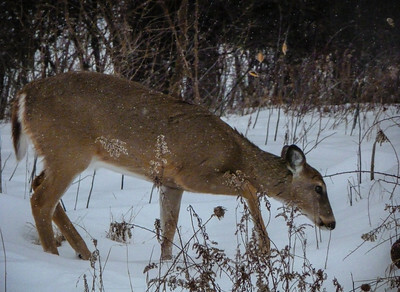 A nervous whitetail deer picks its way along the Chippewa Trail in Midland. Made it to the Tridge. The turnaround point of today's ski adventure. Total miles: 7.1 round trip. Is this the first robin of spring? 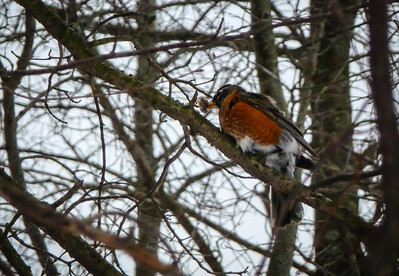 It was about 10 or so degrees, so it was pretty odd to see a flock of robins. But they found an open spring that must have been full of fish. That's a small, frozen panfish in the robin's mouth. 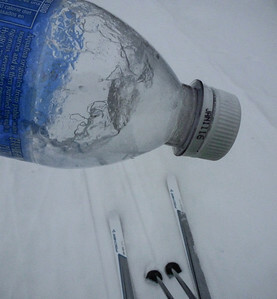 My water kept freezing in the bottle, and finally I couldn't shake and break it anymore so had to resort to eating snow. And yes, I made sure it was white snow.